Since 2000 we are the dog training source for compassionate learning through positive reinforcement, training ...which equates to a lot of affectionate belly rubs! We train you and your pet! As a pet guardian you will learn: leadership, communication, patience, and proper technique. We teach you to be the person your dog thinks you are. Your pet will learn their obedience commands, socialization skills and gain oodles of confidence. 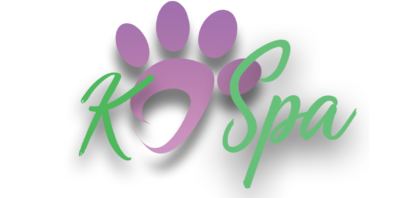 Single classes will give you the knowledge to correct behaviors, potty train a pup, basic obedience, family protection, therapy, animal training, pet sitting, service dog training. Give us two hours of your time and learn all you need to train your dog at home. 1) Lifetime Training Program. This is a 14 day Stay-Play-Learn Program. come on command, stay where told, down and gain oodles of confidence. really social, stable-minded and the best dog on the block. 2) Remote Collar Training Program This is a 21 day Stay-Play- Learn Program. all of the Unlimited Lifetime Training Program attributes, plus you have a safe and effective way to reinforce behaviors you want from your pup. This program is perfect for outdoor enthusiasts who want total control in green spaces, the beach, wherever! included, furever! Off leash experiences build mutual bonds and let your dog be a dog. Bring your dog to this hands & paws on informative session. You will learn best training tools to reach your goals, how to read your pups behaviors, correct negative responses, keep your pet’s focus and attention, teach your pup to walk on leash (without pulling! ), stop play biting, curb anxiety, proper greeting behavior, stop excessive barking and how to potty train the correct way. health. Excellent program for rescue rehab. Learn what’s going on inside your pet’s head and know how to adjust your behavior to become the pack leader through training and nurturing.